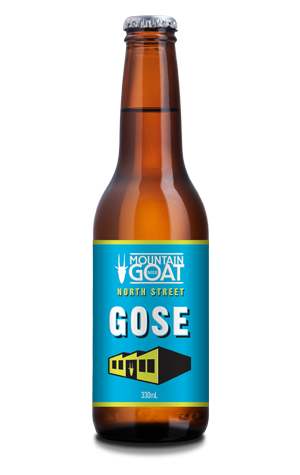 The North Street sub-brand at Mountain Goat started out as the name for a delightful pale ale initially only available at the brewery that evolved into the lower ABV beer now widely available as, simply, Pale Ale. In its wake has come a series of beers that start out on tap at the Richmond HQ and, in some cases, like the IPA and now this Gose, graduate to a wider bottled release. While the name gives little away, there’s more than a straightforward soured and salted wheat beer here. The brewers have added Szechuan pepper, pink grapefruit juice and Himalayan rock salt, as well as pungent lemondrop hops, to a beer that was debuted as a single keg trial. The result is that you’ll find plenty of soft lemon, lime and grapefruit aromas supported by some perfumed pepper and spice, all rising from what looks like a cross between a margarita and a witbier. There’s some late-building heat amid its slick and salty body too, the end result being a beer that’s crying out for an aromatic South East Asian dish as accompaniment.